Medical emergencies are never pleasant for anyone because they can range from a little pain to downright scary and life threatening. No one likes them; but when they do come unexpectedly and suddenly (which they often do) you need to be prepared for them. The best way is always knowing where to go in case of any medical emergency, and thus, knowing where all the hospitals in Cagayan de Oro are with emergency rooms. This is a must-have information especially for tourists or out-of-towners on business here in the city. 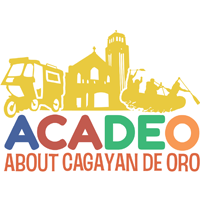 It’s a must-have for local Cagayanons as well since hospitals have proliferated and grown from the hometown hospitals in the past, a large signal that Cagayan de Oro is truly an advanced and growing centropolis as the heart of Northern Mindanao. One of the oldest hospitals in the city and the mainstay of private hospitals in CDO in the 1970’s and 80’s, it has undergone major growth and renovation to become one of the best equipped and staffed hospitals in the region. Located within the city itself on Tiano Bros. and Nacalaban Streets, it has seen service for more than 40 years now. From its humble two-floor building beginnings, the hospital now occupies three blocks of buildings interlinked by elevated walkways. The hospital underwent extensive renovations and reconstruction in 2005-06. From 2007 to 2010, it garnered the Most Outstanding Private Tertiary Hospital award by Philhealth in Region 10. They cover most major medical care cards and, of course, Philhealth. Its emergency room entrance faces Nacalaban Street. Formerly called the Misamis Oriental Provincial and Regional Training Hospital, the new NMMC is the oldest hospital in the city and the biggest Department of Health (DOH) hospital in Region 10 with a level 10 accreditation. The hospital first started in 1918 as a 20-bed public hospital in Carmen, and then moving to its present location at the Provincial Capitol Compound in 1932 as a 50-bed hospital. The old wooden building that housed the hospital was destroyed during World War II but was rebuilt in 1945. It grew into a regional hospital with 200 beds, eventually earning its present name in 1995 and is now a 300-bed hospital. Since that year the hospital has undergone really extensive renovation, reconstruction, and expansion. All its 11 medical programs and specialties are fully accredited by specialty boards. Its emergency room is at the main entrance facing the Provincial Capitol. Its enlarged and newly constructed emergency room is now the largest and well-equipped in the city. The “Polymedic” as most locals call the hospital is located along Don Apolinar Velez Street, with a larger Polymedic Plaza Hospital at C.M. Recto National Highway in Kauswagan, beside the entrance to the NHA Subdivision. The larger Plaza Hospital complex was recently built in 2009 while the main building on Velez Street was constructed in 1990. It is one of the most modern and well-equipped private level 10 tertiary accredited hospitals in the city. Its emergency room entrance faces Velez Street. It is one of the few hospitals in the city equipped with a modern paramedic ambulance service. Formerly the Maria Reyna Hospital, this tertiary level and teaching-training hospital with 130 beds is now owned by the Archdiocese of Cagayan de Oro, Sisters of St. Paul of Chartres, and Xavier University-Ateneo de Cagayan. The hospital is one of the oldest private hospitals in the city established in 1958 by then Archbishop Hayes, SJ. From the 1960’s up to the 1980’s the hospital slowly expanded and renovated to the present modern building that now stands along Archbishop Hayes Street in Camaman-an. In 2010 a tripartite agreement was forged with the three aforementioned groups, with the hospital now serving as the base hospital for the College of Medicine and Nursing of Xavier University. Its old base, the Jose Rizal Doctor’s German Hospital was permanently transferred to the administration of the German Doctors. Its emergency room entrance is at the main entrance facing the street. Aside from the Polymedic Plaza, the CUMC is the newest hospital to be constructed and opened in 2009, located in the suburbs of Gusa along the C.M. Recto National Highway. It is private and foundation funded teaching/training hospital with a 150 bed capacity, but will soon grow to a 300 bed capacity after extensive renovations are finished in 2016. It is actually the former Cagayan Capitol General Hospital Foundation located in the same location and established back in 1976 as the base hospital for the Capitol University (formerly Cagayan Capitol College) for the training of its College of Nursing and College of Midwifery students. That role has now been taken over by the CUMC. Its emergency room entrance is directly facing the main entrance. Other hospitals in the tertiary level in the city but with lower accreditation levels are the Madonna and Child Hospital (J. Serina Street, Carmen) and the Sabal Hospital (Apolinar Velez Street). These also have adequate emergency rooms and are just as modernly equipped and staffed as the abovementioned. Hopefully in any medical emergency, you may quickly locate these hospitals for fast treatment. It would be wise to ask locals where these hospitals are located and the quickest way to get there if you’re a tourist or from out-of-town for faster travel.